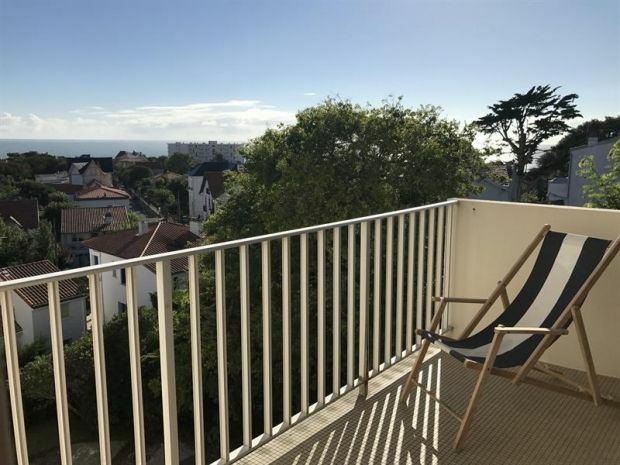 Spacious apartment of 76m² with sea views situated in a lovely residence, 250m from the beach and 300m from the shops in Pontaillac. Hallway. living room of 30m² opening onto the south-west facing terrace with a sea view. Fitted kitchen with bar (fridge-freezer, oven, 4 ring gas hob, microwave, dishwasher). Bedroom 1: Double with bed of 140. Bedroom 2: Double with bed of 140. Bedroom 3: Bunkbeds, (w.machine and dryer). Shower room and WC. SEA VIEWS - BALCONY- INTERNET- GAS HEATING - PRIVATE PARKING. Sleeps 6.